The International Court of Justice (ICJ), the primary judicial organ of the United Nations today has stayed the death sentence awarded to former Indian Naval officer and alleged Indian spy Kulbhushan Jadhav by the Pakistan military court. The Court then focuses on the issue of the link between the rights claimed and the provisional measures requested. It considers that the measures requested are aimed at ensuring that the rights contained in Article 36, paragraph 1, of the Vienna Convention, are preserved. Therefore, a link exists between the rights claimed by India and the provisional measures being sought. The Court then examines whether there is a risk of irreparable prejudice and urgency. It considers that the mere fact that Mr. Jadhav is under a death sentence and might therefore be executed is sufficient to demonstrate the existence of a risk of irreparable prejudice to the rights claimed by India. The Court further observes that Pakistan has indicated that any execution of Mr. Jadhav would probably not take place before the month of August 2017. This means that there is a risk that an execution could take place at any moment thereafter before the Court has given its final decision in the case. The Court also notes that Pakistan has given no assurance that Mr. Jadhav will not be executed before the Court has rendered its final decision. In those circumstances, the Court is satisfied that there is urgency in the present case. 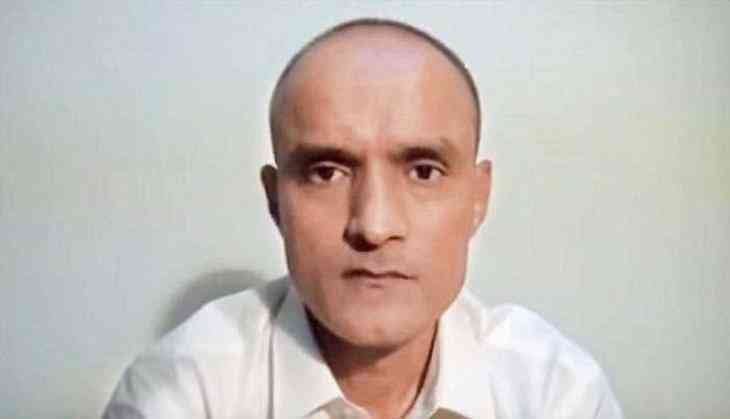 The Court concludes by indicating the following measures: Pakistan shall take all measures at its disposal to ensure that Mr. Jadhav is not executed pending the final decision in these proceedings and shall inform the Court of all the measures taken in implementation of the present Order. The Court also decides that, until it has given its final decision, it shall remain seised of the matters which form the subject-matter of this Order. The Court was composed as follows: President Abraham; Judges Owada, Cançado Trindade, Xue, Donoghue, Gaja, Sebutinde, Bhandari, Robinson, Crawford, Gevorgian; Registrar Couvreur. Judge Cançado Trindade appends a separate opinion to the Order of the Court; Judge Bhandari appends a declaration to the Order of the Court. The International Court of Justice (ICJ) is the principal judicial organ of the United Nations. It was established by the United Nations Charter in June 1945 and began its activities in April 1946. The seat of the Court is at the Peace Palace in The Hague (Netherlands). Of the six principal organs of the United Nations, it is the only one not located in New York. The Court has a – 3 -twofold role: first, to settle, in accordance with international law, legal disputes submitted to it by States (its judgments have binding force and are without appeal for the parties concerned); and, second, to give advisory opinions on legal questions referred to it by duly authorized United Nations organs and agencies of the system. The Court is composed of 15 judges elected for a nine-year term by the General Assembly and the Security Council of the United Nations. Independent of the United Nations Secretariat, it is assisted by a Registry, its own international secretariat, whose activities are both judicial and diplomatic, as well as administrative. The official languages of the Court are French and English. Also known as the “World Court”, it is the only court of a universal character with general jurisdiction. The ICJ, a court open only to States for contentious proceedings, and to certain organs and institutions of the United Nations system for advisory proceedings, should not be confused with the other ? mostly criminal ? judicial institutions based in The Hague and adjacent areas, such as the International Criminal Tribunal for the former Yugoslavia (ICTY, an ad hoc court created by the Security Council), the International Criminal Court (ICC, the first permanent international criminal court, established by treaty, which does not belong to the United Nations system), the Special Tribunal for Lebanon (STL, an international judicial body with an independent legal personality, established by the United Nations Security Council upon the request of the Lebanese Government and composed of Lebanese and international judges), or the Permanent Court of Arbitration (PCA, an independent institution which assists in the establishment of arbitral tribunals and facilitates their work, in accordance with the Hague Convention of 1899). 1. In his Concurring Opinion, composed of seven parts, Judge Cançado Trindade begins by pointing out that, having concurred with his vote to the adoption of the present Order indicating Provisional Measures of Protection, there are certain aspects pertaining to the matter dealt with therein to which he attaches great importance. He feels thus obliged to append his Concurring Opinion thereto, so as to leave on the records the foundations of his own personal position thereon. He purports to address the selected points bringing them into the realm of juridical epistemology. 9. Judge Cançado Trindade next considers the “autonomous legal regime of provisional measures of protection (part VI), in its component elements, namely: “the rights to be protected, the obligations proper to provisional measures of protection; the prompt determination of responsibility (in case of non-compliance), with its legal consequences; the presence of the victim (or potential victim, already at this stage), and the duty of reparations for damages” (para. 24). He proceeds that, even though the proceedings in contentious case before the ICJ keep on being strictly inter-State ones (by “attachment to an outdated dogma of the past”), this in no way impedes that the beneficiaries of protection in given circumstances are the human beings themselves, individually or in groups, – as he pointed out also in his Dissenting Opinion in the case concerning Questions Relating to the Obligation to Prosecute or to Extradite (Order of 28.05.2009), and in his Separate Opinion in the case of Application of the International Convention for the Suppression of the Financing of Terrorism [ICSFT] and of the International Convention on the Elimination of All Forms of Racial Discrimination [CERD] (Order of 19.04.2017) (para. 25). On prima facie jurisdiction, Judge Bhandari recalls that India based the Court’s jurisdiction on Article 36, paragraph 1, of the Statute, read in conjunction with Article I of the Optional Protocol to the Vienna Convention. Neither India nor Pakistan made any reservation to that Optional Protocol. He draws a parallel with LaGrand, in which the Court found to have prima facie jurisdiction based on the same legal provisions, to which both Germany and the United States of America had not made any reservations. Judge Bhandari states that the Court was right in following the previous jurisprudence in Equatorial Guinea v. France, in which it was held that, in order to find it has prima facie jurisdiction, the Court must satisfy itself that there prima facie exists a dispute between the Parties and that such a dispute prima facie falls within the scope of the treaty invoked. According to Judge Bhandari, the prima facie existence of a dispute is confirmed by the exchange between the Parties of Notes Verbales on the subject of consular access to Mr. Jadhav. Moreover, such a dispute falls within the scope of the Vienna Convention ratione materiae since the facts alleged by India all pertain to its consular rights guaranteed under the Vienna Convention, yet allegedly denied by Pakistan.